Under the lead of the President of the CAB-F association, Bob Sisk, a veteran of Chambley Air Base France, a US delegation will be present again during LMAB® 2015. 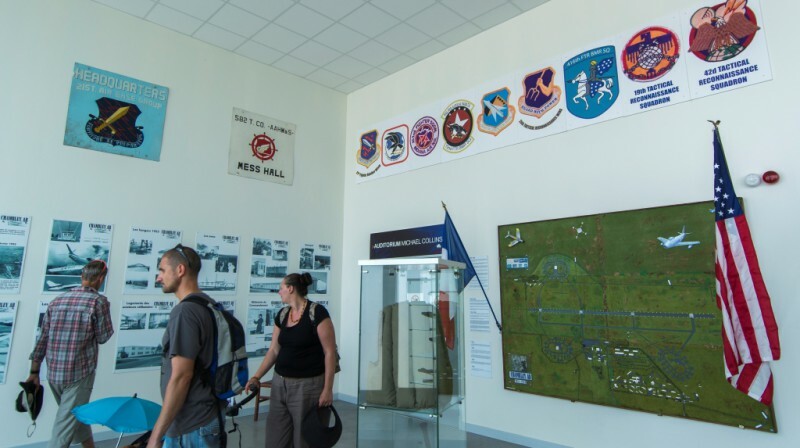 The Veterans Association heavily supports the area of the museum “Aéromusée Pilâtre de Rozier” dedicated to the air base history from 1954 to 1967. They kept their promise with the arrival of new pieces a few days ago. You will discover period clothing: regalia costume, pilot suit from Colonel George Stokes, who died recently and hero of several wars.